Tysons Corner, VA | April 17, 2018 Offit Kurman is pleased to announce that five of the firm’s attorneys have been selected for inclusion in the 2018 Virginia Super Lawyers and Rising Stars lists. Offit Kurman would like to congratulate all of the firm’s Virginia lawyers listed in Super Lawyers, and give special recognition to Family Law attorney Joe Condo, who was named to Virginia Top 100 list. 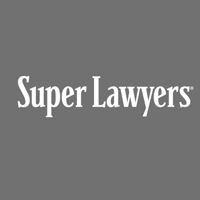 A complete rundown of Offit Kurman attorneys in Virginia named to the 2018 Super Lawyers and Rising Stars lists can be found below. An asterisk (*) denotes a lawyer on the state Top 100 list.